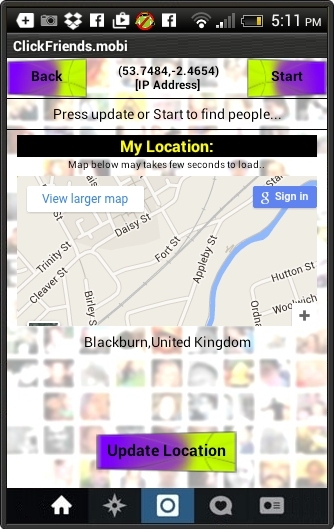 A free friend finder app that finds people nearest to your real location. It will also notify you of any local vouchers or offers. 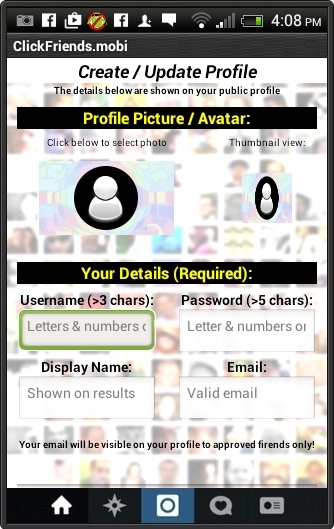 Create your public profile, upload your picture and contact details. Who will you Click with today? You can share social profiles like Twitter and Facebook. You will always see the 5 nearest friends or offers first. You can scroll through to see more. View your sent, received and approved requests in the request section. Setting your location is easy with GPS or let the app find yours using internet connection. You cant always easily approach new people for friendship or more. Now you can, just search and send a friend request! Your location can be determined using GPS, Location services, IP Address or even entered manually to anywhere in the world! If you find vouchers codes or offers you like store them under My Offers sections and view them whenever you want. Keep an eye on the expiry dates. A convenient Requests Section keeps record of all pending, received and approved friend requests. Approve new requests from here too. Upload a recent phot of yourself. Enter you phone, email and social profiles. Get attention by entering a cathy Tagline too! 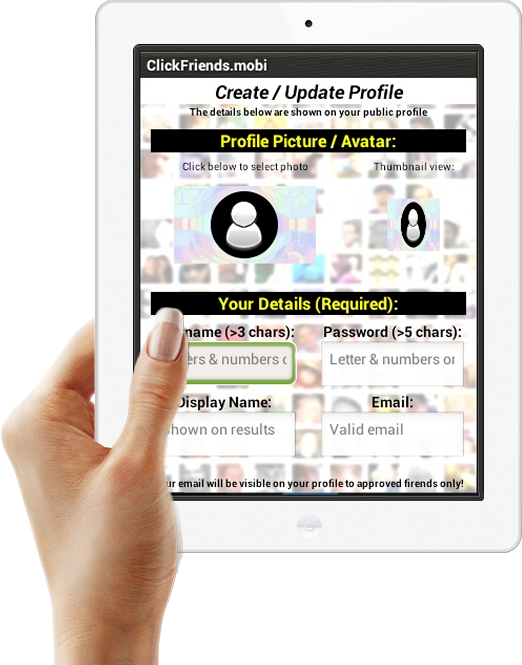 I think this app is a great way to meet people that I wouldnt otherwise get to meet. 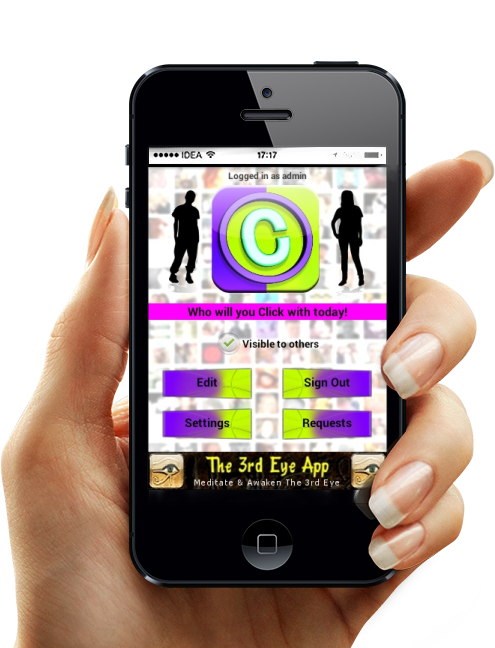 I helped in testing this app and i think if enough people join it will make a fantastic friend finder app to rival the existing ones. But you can find more than just friends!